The parish council has responsibility for local issues, including setting an annual precept (local rate) to cover the council’s operating costs and producing annual accounts for public scrutiny. The parish council evaluates local planning applications and works with the local police, district council officers, and neighbourhood watch groups on matters f crime, security, and traffic. The parish council's role also includes initiating projects for the maintenance and repair of parish facilities, as well as consulting with the district council on the maintenance, repair, and improvement of highways, drainage, footpaths, public transport, and street cleaning. Conservation matters (including trees and listed buildings) and environmental issues are also the responsibility of the council. The village falls within the Non-metropolitan district of South Somerset, which was formed on April 1, 1974 under the Local Government Act 1972, having previously been part of Langport Rural District.. The district council is responsible for local planning and building control, local roads, council housing, environmental health, markets and fairs, refuse collection and recycling, cemeteries and crematoria, leisure services, parks, and tourism. Somerset County Council is responsible for running the largest and most expensive local services such as education, social services, libraries, main roads, public transport, policing and fire services, trading standards, waste disposal and strategic planning. It is also part of the Somerton and Frome county constituency represented in the House of Commons of the Parliament of the United Kingdom. It elects one Member of Parliament (MP) by the first past the post system of election, and part of the South West England constituency of the European Parliament which elects seven MEPs using the d'Hondt method of party-list proportional representation. Parish Council Meeting 6 th March 2019. Public Question Time It was asked when work would be starting on Townsend Cottage and the possible problems around that area with construction workers vehicles and where they would all park. Clerk to ask planning/architect when any work was likely to start. Cllrs were reminded of the upcoming Parish Litter Pick over the weekend of the 23 rd and 24 th March. Present: Mrs J Pearce(Vice-Chair), Miss S Brooks, Mrs L Langford, Mrs C Paul, Mrs P Warren, Messrs K Cox, R Dowdeswell and Cllr Yeoman. 1. Apologies for Absence: Miss A Cox and Mr D Wakely. 2. Declarations of Interests: None. 3. Confirmation of previous minutes: Minutes for the 6 th February were agreed and duly signed. 4. Cheques: Cllrs approved the following cheques. SSDC - £506.16 – Parish Ranger fees for three months. Mrs S Potepa - £1475.00 – Three month’s salary. SALC - £30.00 – Preparing for External Audit Training Seminar. 5. Cemetery: Cllrs having been forwarded a copy of proposed Rules and Regulations for Cemetery prior to the meeting, approved them with the added proviso that ‘No Refunds’ would be granted for graves purchased previously. Cllrs then agreed to increase the cemetery fees, as these had not been increased since 2014. Internment - £120. Purchase of burial grave - £300. Purchase of ashes grave -£150. Headstone - £150. Tablet or Book - £85. Vase - £60. Additional Inscription - £60. These fees are for Parishioners in other cases for people outside of the Parish the fees will be double. A request had also been received from SSDC regarding Burial Plot Capacity and Muslim Funerals. Clerk to respond that there is approximately 6 years capacity left at the Cemetery and as the policy is that all coffins have to be made of wood or wood materials, Muslim burials, who are buried in shrouds would not be permitted. Cllrs were also informed that the Parish Council should now be looking for another plot of land for future burials. 6. Allocation of 2019/20 Precept to sub accounts. Cllrs resolved to apportion the precept of £35K as follows. Cemetery - £4074.80. General - £13925.20. Recreation Ground - £7500. Community Enterprise(Shop) - £7500. Grants - £2000. 7. Grants. Cllrs approved the following grants. St Martins Church, K Episcopi - £325 – Grass cutting of churchyard. 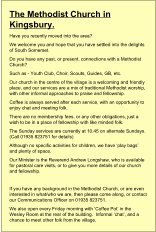 St James Church, East Lambrook - £200 – Grasscutting of churchyard. St Martins Churchrooms - £400 – Upkeep of car park for last two years. A request had also been received towards the restoration of The Kingsbury Friendly Society banner. As it was unsure whether it was the original banner in question or the replacement banner purchased quite a few years ago. Cllr Langford having been the secretary of The Friendly Society before it disbanded would make some enquiries. 8. Amenities and Community Shop Update: Shop celebrated its 2 year anniversary today with cake. Still going well although they will now be looking to appoint a new café manager as Alice has stepped down due to ill health, we wish her well. The PCSO is going to set up a clinic in the café on Fridays between 2pm and 3pm, as they have now been issued with lap tops they will working out in the communities more. The solar panels are producing approximately 60KW a day at present. The Community Centre is still being well used, another wedding has been booked for 2021. There are now new Yoga and Insanity classes as well. 9. SSDC. Notification that this year’s Play day would be held on the 23 rd August and cllrs agreed to give £250 towards the event. 10.Footpaths and bridleways: Footpath L17/1 from West End to Pulpittsway in one gateway is very wet and muddy, scalping’s would be useful there and there is also a stile that needs replacing. Bob Warren will take a look. The footpath from Pulpittsway to Stembridge is still being used by horses and the surface is now very heavily trodden. Clerk to contact Rights of Way, as there is an appeal on this path to change it to a Bridleway, but it’s felt that as the appeal will take several years to reach a conclusion, a Bristol Gate would be the solution to the problem. 11.Highway Matters: The new finger post sign on Dudmoor corner has a spelling mistake in Petherton, clerk has already reported this to Highways. The surface of New Cross Hill was brought up. Apparently the water main trench that runs under the road is sinking and that leaves the uneven surface in the road which is where the water runs and is therefore causing the surface to break down time and time again. Patching is not really the answer. Clerk to contact Highways. Cllrs were informed that the road closure and one-way order on Owl Street East Lambrook would not now be taking place. Basically the current arrangement will stay in place. Following on from the District Council replacing some of the street name signs, we now have an extra sign for New Cross. Cllrs agreed to ask the Parish Ranger to place it on the verge on the approach to New Cross from West Lambrook. 14.Date and time of next meeting: The next Parish Council meeting will be held on Wednesday 3 rd April, 2019 at 8.00pm. Also a reminder that the Annual Parish meeting will be held on the 19 th March 2019 at 8pm at The Community Centre to encourage more parishioners to stand for Parish Council.